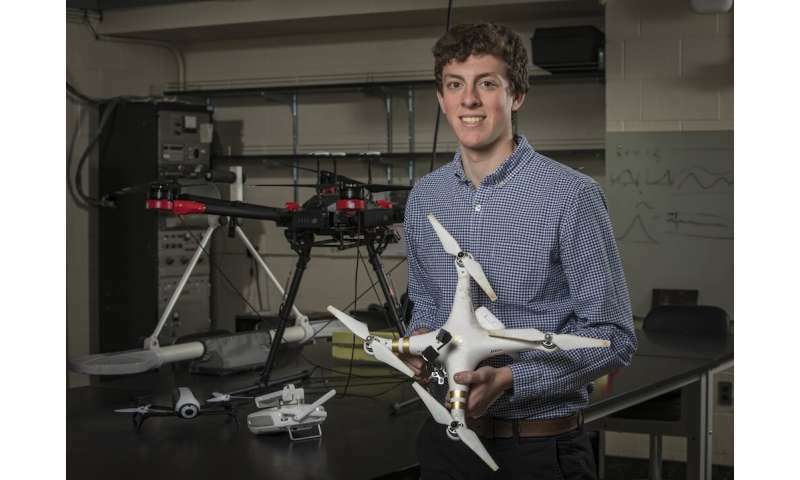 Jasper Baur and William Frazer, students at Binghamton University, State University of New York, won first place in the aerospace and defense category at the Create the Future Technology design contest for their project which uses drones to locate dangerous landmines. 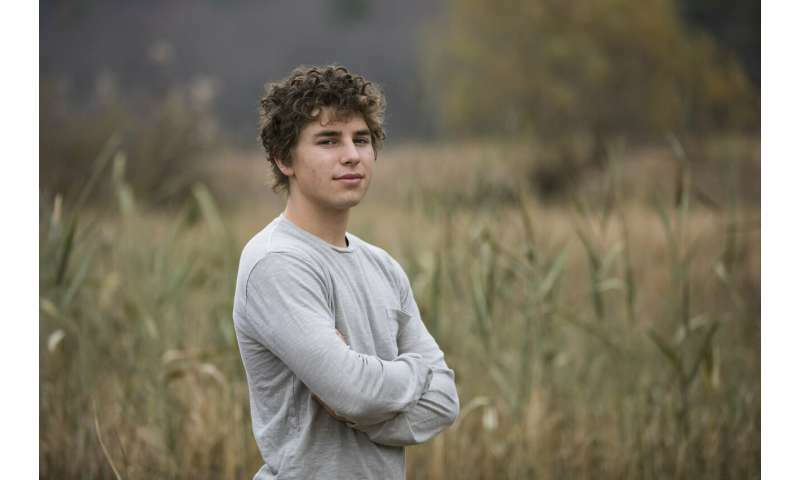 Frazer—a senior studying geophysics—teamed up with Baur—a junior studying geology—to enter the international Create the Future technology design contest, which allows people to submit ideas that stimulate and reward engineering and technological innovation. Baur and Frazer's research focuses on plastic land-mine detection. Their submission used thermal technology to detect plastic land mines in countries such as Afghanistan, where land mines were used as a military tactic. 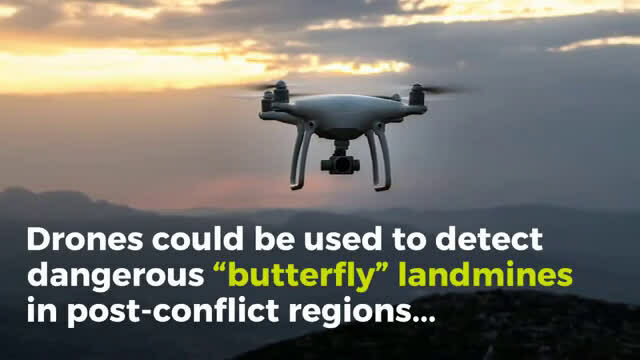 "Our submission was a description of how we attach thermal cameras to drones and fly over to detect plastic land mines based on heat differences between the surrounding environment and the mine," Baur said. Land mines are explosives that are concealed underground and used to destroy or disable enemies and their machinery. Baur and Frazer's research focused on PMF1 land mines, which were a Soviet design used in the Soviet Union's war in Afghanistan in the late 20th century. The PMF1 explosives are set off when they reach a certain pressure point and are especially difficult to detect because they are made out of plastic. "Their entire bodies are made out of plastic, where the more traditional land mine has some sort of metallic casing that can be detected with electromagnetic methods very easily," Frazer said. "They are also difficult to find because a plastic land mine can be as small as your iPhone, or even smaller." Baur and Fazer worked with Alex Nikulin, assistant professor of geological sciences, and Timothy de Smet, research assistant professor with Binghamton's Freshman Research Immersion program. Though they won the contest, this is just the beginning of Baur and Frazer's research. "The end goal is to develop a full system that can be deployed to detect these land mines," Frazer said. "The next step is to figure out an automated methodology to detect them. Right now, they are not automatically detected; you have to manually look at the data to find them. So we are looking into doing supervised and unsupervised machine learning to detect them."